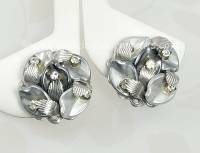 New Customers: Take 10% Off all Orders - Use Coupon Code NEWCUST at Checkout! 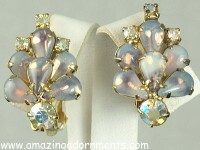 Amazing Adornments will consider your best offer! Send us an email with the product number! Our Layaway Policy is available here. Try our how to order page, FAQs PAGE or email us, we would be happy to help. PLEASE NOTE: We only sell one of each item for the most part. To be fair to all customers items in your Jewelry Box/Basket/Cart will automatically be placed back in stock after 30 MINUTES of non-activity and your shopping cart will be deleted! We cannot hold shopping carts. Please save to a wish/gift list if you intend to purchase items in your cart at another time. Thanks for understanding! If you wish to purchase an item that is in a cart please check back later. If it has been longer than 30 minutes please email us. Include the item number please. We sill try to respond within 24 hours. Please be aware that our hours are Eastern Standard Time. Remember to wear something AMAZING! 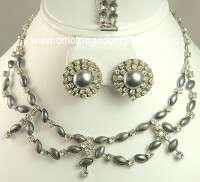 Amazing Adornments -Vintage Antique Costume Jewelry and More for Less!